Can you see it? The weekend? It’s JUST there…merely a few hours away. I am on a syrup run at the moment after my rhubarb syrup that I made last week (I added it to Prosecco last night and it was VERY good!) Here’s a little cocktail recipe that I created earlier this year which is perfect for ANY time of the year. Especially on a Friday afternoon! You can have a look at how to make it in this short little video! Yum I have made this before when Nikki at Stylingyou put it on her blog,have a great weekend Beth…cheers to a good one! 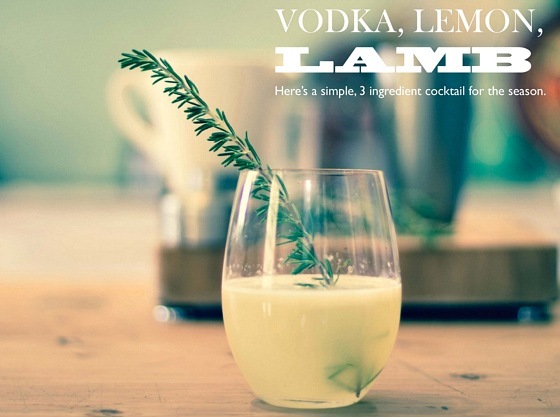 This looks amazing – any suggestions on other ways to use the Rosemary Syrup? You could try it just with mineral water like a cordial…not sure really…? You sound so Aussie, I’m feeling proud! And as soon as I stop breastfeeding, I’m onto this cocktail like an alco. Was that inappropriate? It’s sounds lovely but more so I love your kitchen & all the artwork, how lovely & homely. Enjoy your Friday evening ! But what about the dress? Love it. No! The dress looks great. I adore Leona dresses. I always go to the Myers sales to grab them. I reckon if you switched the vodka/lemon juice ratio around it would be sterling! Yes! I do that…just wanted to seem like a responsible adult!